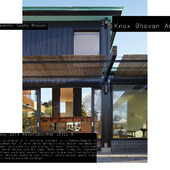 With over 20 years experience as a practising Architect, as a Partner/Director of Edward Cullinan Architects for 10 years before setting up Knox Bhavan Architects in 1996, Sasha has been responsible for and involved in many interesting, acclaimed, award winning and varied projects over the years. 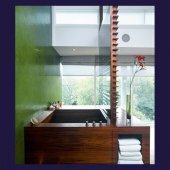 These range in size and character and include refurbishment work and modern interventions to precious listed buildings, many private houses, changing rooms & new cafés in various London parks, major planning appeal work and educational buildings. 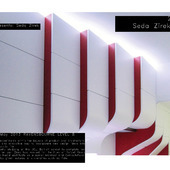 Seda Zirek Design experiments within the bounds of product and Architectural design finding new and innovative way to incorporate new design ideas into our domestic and public life. Seda Zirek is currently studying at the UCL, Bartlett school to complete her PHD in design. 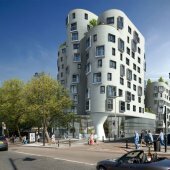 In the past Zirek has worked for the likes of Rafael Vinoly Architects and Zaha Hadid architects as a senior Architect and Computational Advisor. She has also given lectures at universities such as Yale. From furniture design, to interiors, to architecture. From houses, to banks, to shops, to shopping centres & airports. Over the past 14 years, Colin Batchelor has studied at ever increasing scales, and has designed at ever increasing scales. So far, he has been privileged to work with some of the brightest minds in the design & architecture industries, and will talk about his experiences, both good and bad, and offer some insight into working in changing world of design. As architects, designers, planners and consultants, Gensler partner with their clients on some 3,000 projects every year. These projects can be as small as a wine label or as large as a new urban district. With more than 3,500 professionals networked across 42 locations, Gensler serve their clients as trusted advisors, combining localized expertise with global perspective wherever new opportunities arise. 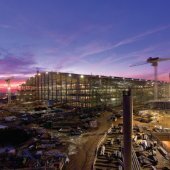 Gensler’s work reflects an enduring commitment to sustainability and the belief that design is one of the most powerful strategic tools for securing lasting competitive advantage. 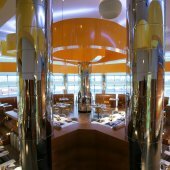 Established in 1988, RPW Design is one of the world’s leading hospitality interior design practices specialising in the creation of stunningly individual interiors. While varied in context, function and budget, all our projects are characterised by a coherence and an elegance that results from a fully collaborative design process. Henley Halebrown Rorrison place great importance on the way people use buildings, and how buildings affect their sense of well-being. Of course use denotes function and this suggests a solution. From their experience functions change and buildings, like other things, can and do become obsolete – in as little as twenty years a building may become vulnerable and subject to demolition. So, they believe it is vitally important that their buildings transcend function and that designs have character and, in time, engender fondness in those who use them thereby achieving a certain durability. Grant Associates is a Landscape Architecture consultancy specialising in the creative design of both urban and rural environments. We are involved in a number of forward looking projects throughout the UK, Europe and the Far East, often working with some of the world’s leading architects and designers.Established in 1997 the Practice has built up a reputation for innovative, ecologically based design and the ability to shape useful and sustainable landscapes with distinctive contemporary character. 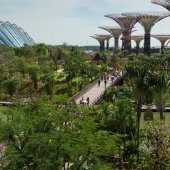 We are concerned with the connection between people and nature and since our inception we have been consistently involved in cutting edge design projects which are built around a concern for the social and environmental quality of life, searching for bold and imaginative solutions to complex and demanding briefs. 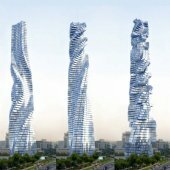 Diego Rossel is a Senior Architect at Zaha Hadid Architects. 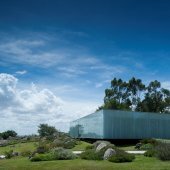 He studied at the University of Chile and Mastered in Architecture and Urbanism from the Architectural Association School of Architecture. Zaha Hadid Architects create architecture that can defy solidarity yet creating space that adopts and retains grandeur and status. 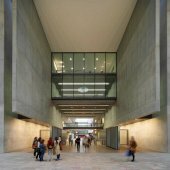 In 2004 Hadid Architects won the Prizker Architecture Prize and in 2010 and 2011 they won the Stirling Prize. 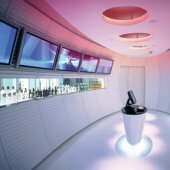 While developing outstanding architecture Zaha Hadid Architects also apply themselves effortlessly to interiors, product design and fashion, being a truly versitile practice. Populous are a group of innovators, groundbreakers and visionaries. They are a global collective of architects, designers, technical experts and industry veterans, people who create the places where millions unite. Each project they undertake has a set of unique challenges it faces. Through listening, observing and collaborating closely with their clients they discover opportunities to amplify the character of a place or community. The team’s international perspective brings together ideas from across cultures, activities, building types, events, and landscapes to realize a vision that connects fans with each other through their shared passions. Over three decades and more than 1,000 projects, the team has built a business on building businesses. With their keen understanding of the industry, they harness that knowledge to create places and experiences that have a strong and lasting impact on communities. They unlock potential and generate durable revenue streams. 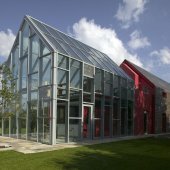 Grimshaw is an award-winning architectural practice with a reputation for design excellence across all sectors. 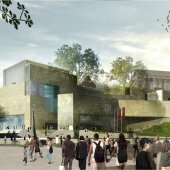 They are committed to providing architecture of the highest calibre, resolving both the ambitions of the client and the complexities of the site into buildings that are intimately connected to context and function. Founded in 1980, Grimshaw operates worldwide, with offices in London, New York, Melbourne, Sydney and Doha, employing over 300 staff. 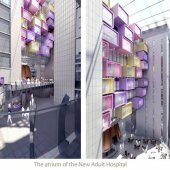 Their buildings are designed to have spatial and organisational clarity, to reflect the activities within them, yet be flexible enough to respond to changing needs. Research Group (CAG), China. He heads one of the architectural design studios, Studio V, in CPG Architecture Group as well as performs the role of Architect, Architectural Qualified Person and Superintending Officer for the projects undertaken and managed by Studio V. Studio V has 35 staff consisting of architects, master planners, interior designers, technical draughtsman, graphic designer, IT, account and administrative staff. 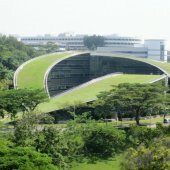 Studio V specialises in architectural design, master planning, contract administration and implementation of tertiary education buildings, bio-medical research institutes, vivariums, data centre, business park development, retail space for Mass Rapid Transit stations (MRT), development for multi-media and digital design, specialized buildings such as racecourse etc. He is also currently Managing Director of Indeco Consortium Pte Ltd since June 2012. Alex will be coming in to discuss about the courses available at the Royal College of Art for Postgraduate students with the potential of MA courses there as well as discussing what his practise, DRMM are currently working on. Founding Director of dRMM. Has presented dRMM’s work in Europe, South America and Asia on the relationship between design concepts and emerging construction types, especially advocating engineered timber. De Rijke has taught widely, including at the AA and RCA. 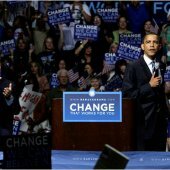 He is also active as occasional critic, lecturer, and guest professor, as architecture design advisor, and photographer. At dRMM, de Rijke focuses on design innovation. He combines leadership of expanding practice with research into new materials and modern methods of construction. Alex has pioneered cross-laminated timber panel construction in the UK Norway and Australia. 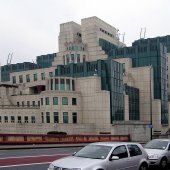 An insight into Sir Terry Farrell. Sir Terry Farrell is considered to be the UK’s leading architect planner, with offices in London and Hong Kong. During 40 years in practice he has completed many award winning buildings and Masterplans in the UK including MI6 and The Home Office Headquarters as well as millennium projects such as The Deep in Hull and Centre For Life in Newcastle. UK Masterplans include Greenwich Peninsula, Brindley Place and the Quayside Newcastle. 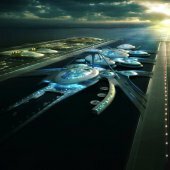 In East Asia, notable projects include Incheon airport in Seoul, Beijing Station and Guangzhou Station in China (the largest in the world) and in Hong Kong he designed the Peak Tower, Kowloon Station and development and the British consulate. Throughout his career, he has championed urban planning and helped shape central and local government policy on key issues. 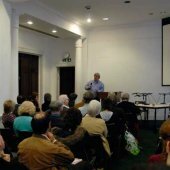 In London, he is a member of the Mayor’s Design Advisory Panel and he has advised the Department for Transport on high speed rail and the Department of Communities and Local Government, where he has led for several years the design and planning of the Thames Gateway, Europe’s largest regeneration project. 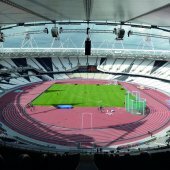 In 2010, he was appointed masterplanner for the transformation of Holborn and Earls Court. Studio Egret West was established in November 2004 by Christophe Egret and David West with a shared vision: To offer strategy with architectural specificity; and specificity within an overall strategy. Not just what lies within an introvert red line boundary. Architecture is too often seen in isolation from its urban context. Planning is too often seen as soulless, unspecific proposals that gather dust on shelves. They believe that the way forward is the osmosis between planning and architecture. 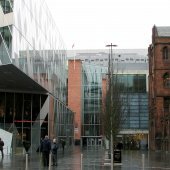 Robin Lee Architecture is a Limited Liability Partnership, formerly named NORD, established in Glasgow in 2002. Robin Lee Architecture has offices in London and Dublin. 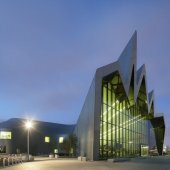 Architect of the Year in the Scottish Design Awards (2007). 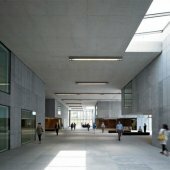 Robin Lee Architecture was named Architecture Practice of the Year in Ireland at the CMG Awards in recognition of the exemplary work at Wexford County Council Headquarters. Robin Lee Architecture works across range of sectors and has a reputation for delivering unique and highly creative design solutions tailored to individual clients. The practice is committed to carefully understanding client requirements and tailoring architectural design solutions accordingly. Projects are informed by a rigorous interrogation of context through research and analysis and by a process of open dialogue with clients, users and consultants. 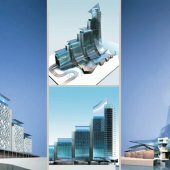 Each project is treated as a unique opportunity to create buildings and spaces that respond to the specific requirements of context and function. Walters and Cohen Architects was founded in 1994 by Cindy Walters and Michál Cohen and is believed to be the first practice in England led by two women. 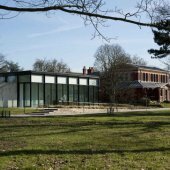 Based in Camden, North London, the practise has developed a diverse portfolio of residential, educational, commercial and cultural projects; including the award winning Gallery of Botanical Art in Kew Gardens. a wellness centre in the vaults of the Bank of England and a new education building in the grounds of the Horniman Museum. Walters and Cohen has developed an excellent reputation in the education sector with many innovative and inspiring school buildings completed nationwide. 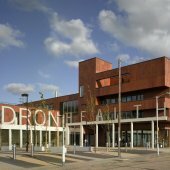 The practice has won several awards including three RIBA Awards and a Civic Trust Award and three school designs were given the rare accolade of the highest rating by CABE. The practice’s founding principles of innovation and sustainability continue to shape their work today, reinterpreted by the creative talent of their designers. Over the course of its 23 year history, BPTW Partnership has achieved various high profile accolades for its excellence in design and business practises. The practise continues to be committed to the philosophy of working in partnership with sustainability and responsible corporate social responsibility at the heart of its ethos. Pascall + Watson architects believe that good design can make buildings enjoyable to use, efficient to build, energy saving and elegant to behold. Their approach is founded on over 50 years experience of designing quality buildings for clients who come back to them time and time again for repeat business. 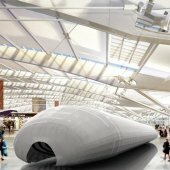 Pascall + Watson have unrivalled reputation for their expertise in all modes of transportation projects and in particular they are the market leaders in airport terminal design. 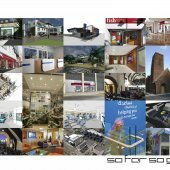 They also have a portfolio of work which encompasses university buildings, offices, hotels, industrial parks, museums and residential. Rob will be coming in to discuss his time at Ravensbourne and Gensler as well as the work he is undergoing with his current practise: WheelerKanik. 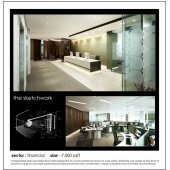 WheelerKanik currently work on a large amount of high end interiors based in Europe and across Russia. AOC is a practise of Architects, Urbanists and Interpreters, established in 2003. 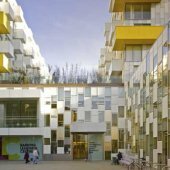 Building on experience gained at respected practices and regeneration bodies in London and abroad; their architecture is both robustly pragmatic and beautifully imaginative. AOC embrace challenging projects and encourage clients to be demanding, generating open, honest and generous proposals in response. The shape of buildings will express logic, in a world where real art will be the art of technology. Architecture is a political tool. In some instances is the state in built form, in others, it is the manifestation of revolt. In the terms of French philosopher and political theorist Louis Althusser, it is part of the Ideological State Apparatus. For Italian Neo-Marxist commentator Antonio Gramsci, it forms part of the Civic Society and thus, its aim is inherently ideological. In the recent publication by Deyan Sudjic the type of state architecture these ideas suggest is seen to represent a form of Edifice Complex. Stanton Williams was founded by Alan Stanton and Paul Williams in 1985 following extensive individual careers in teaching and practise in the UK, Europe and the US. The practice now has an established team of over 50 people. Stanton Williams have successfully completed numerous high profile architectural, urban design, master planning, exhibition and interior design projects, winning more than 50 awards. 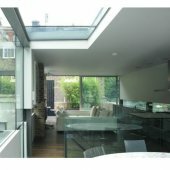 Harper Downie Architects are based in Central London. The practice is 30-strong with a workload comprising an eclectic mix of projects, spanning many sectors across local, national and international boundaries. The scale ranges from urban master-planning to mass-produced, prefabricated industrial products. Harper Downie has built a strong reputation with developers and end users alike, and currently has a number of residential, mixed use and hotel projects both on the boards and under construction. Established by David Harper and Alistair Downie, the practice draws on an eclectic mix of skills, experiences and interests generated by its diverse and talented staff. 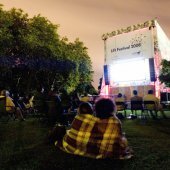 Every project is treated as unique., benefitting its time, place and use; but each is subjected to the same rigorous process of analysis that is aesthetically based, intelligently framed and always commercially astute. The restless, dynamic force of the practice is constantly seeking and delivering, through a methodical, purposeful process, the appropriate design solution to every concern; quietly generating value without risk, and elegance without compromise. Nothing can be achieved in isolation, we are only one component part of the whole, but our energy, our natural inquisitive nature and our ability to enthuse others through gentle leadership creates the climate where bold invigorating but never insensitive architecture can contribute to our world. 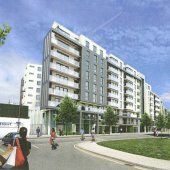 Aukett Fitzroy Robinson work with clients, consultants, suppliers and contractors to develop a holistic approach to designing environmentally efficient buildings and have a range of projects where sustainability has been a key to the design brief. Savana Interior Design Studio was established in 2004 by two directors. The Company’s name-sake Savana Hiwaizi holds a Masters in Architecture from the Bartlett school UCL (MArch) and a Diploma in Art and Design, first degree (BA Hons) in interior design/ three dimensional design. 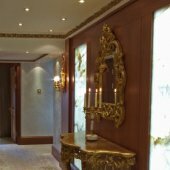 The interior design firm is in a unique position in the heart of London with years of experience in understanding and implementing spatial planning having thorough knowledge of architectural interiors means that they add value to their service. Marta trained in the architectural practise JBP. In 1993 she started design consultancy for Nicholas Grimshaw, Sheppard Robson Architects, The Body Shop and The Big Issue. She started her own practise in 1994 called Nowicka Stern, offering conceptual project solutions for Basillico, The Gate, Gerald Ronson, Nick Leslau and Framestore. 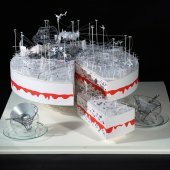 Nowicka Stern won a Design Week Award in 2001, were short listed for the FX awards and guest lectured at the Architectural Association and Le Sale in Singapore amongst many others. Simon has advised many organisations including the Architectural Association (he was on Council and Honorary Treasure and Vice President). The Royal Institute of British Architects (including Vice President for Education) & CABE (charing Design Review Panel). For eighteen months he was the weekly columnist in The Architects Journal. As well as pursuing the design and execution of architectural proposals he is also visiting professor at the Bartlett (where he taught for many years) and Harvard; is a frequent lecturer, guest critic and external examiner at many schools at home and abroad; a judge/advisor on national and international urban and architectural design competitions; and contributes to architectural debates, lectures and publications. Combining place and fiction, CJ Lim and Ed Liu take well-known institutions, epochs and lifestyles from tens sties across the city of London and renders them fantastic in a string of architectural short stories. The medium is an intersection of paper assemblages and text, occupying a liminal territory where familiar characters find themselves in unexpected environments and places transform into active protagonists. The stories have been exhibited at the Royal Academy of Arts and the Victoria and Albert Museum but are collected for the first time in a single volume, laid out as one phantasmagoric city vision. Painstakingly constructed, the stories encompass a retelling of the ‘Three Little Pigs’ at Smithfield, a dating agency at Battersea, and a ringed transport system manifesting as a celestial river over the great metropolis. Enthralling and inspirational, this cabinet of curiosity and wonder depicts a vision of the city that is immoral, anarchic, unscientific and at the same time glorious, ravishing and a pleasure to behold.